Secret rooms, headquarters for secret organizations, and places that simply shouldn’t exist. There are countless mysterious buildings out there which we aren’t supposed to know about. From secret government buildings, to ones built by individuals, and ones we don’t even know the origins of, this is a list of 10 mysterious buildings you aren’t supposed to know about, but we’re going to tell you anyway. One of the most luxurious hotels in North Korea, has a mystifying secret Kim Jong Un would prefer you didn’t know. 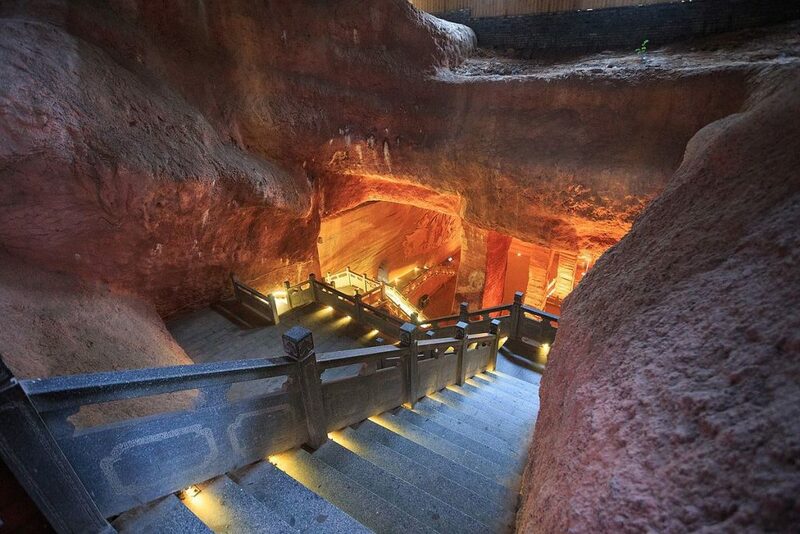 While exploring Yanggakdo Hotel, a tourist called Calvin Sun discovered an entire secret floor in the building. The lift in the hotel doesn’t allow access to the secret 5th floor, and you can only reach it by going up to what is actually the sixth floor and then walking down to the 5th. Inside, the floor is devoid of people, and all the doors are locked. The walls are covered in propaganda posters. 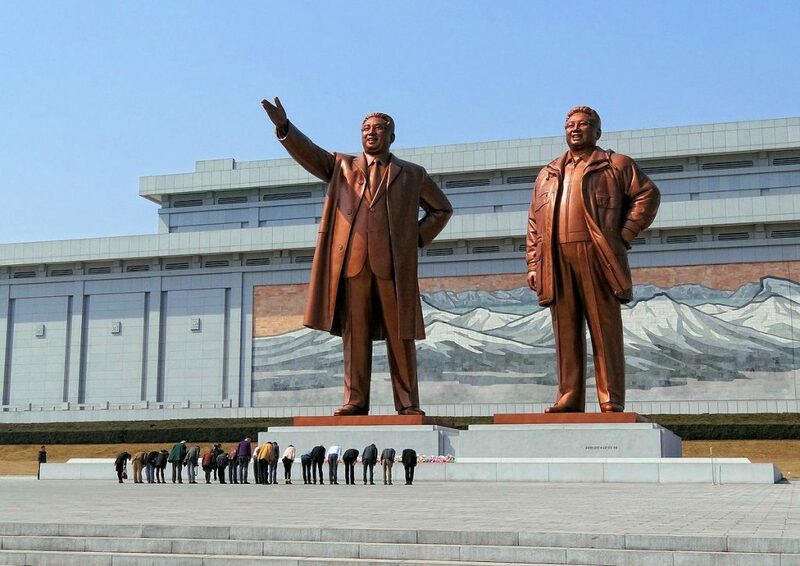 The building has many closely guarded secrets, and is one of the most mysterious buildings in North Korea. The MI6 Building at Vauxhall Cross is one of the most mysterious buildings in the UK, something everyone inEngland is aware of, but few of us know anything about. 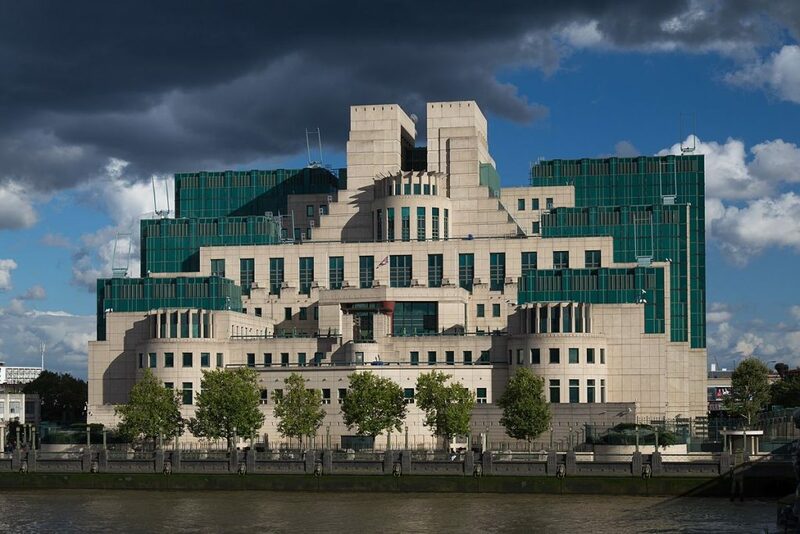 It’s located in Central London, and has been the headquarters of MI6 since 1994. MI6 or Military Intelligence 6 is the branch of the Government concerned with foreign intelligence. Britain feared Germany’s growing empire in the 20th century, and was worried about the threat German spies. To counter this threat MI6 was established. MI6 work to gather information outside of the UK, in other words spying. The existence of MI6 wasn’t acknowledged by the government until 1994. For years Disneyland managed to keep a collection of mysterious buildings hidden in Disneyland a secret. 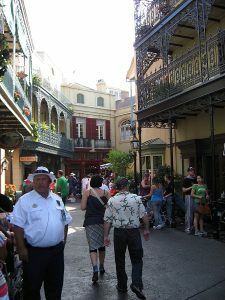 Only members of an exclusive club known as Club 33 are allowed entry into the mysterious buildings. Inside is a luxury restaurant which Walt Disney used to use to entertain famous guests. Members pay a joining fee of £20,000 and a yearly membership fee of around £8,000. Inside the club-houses there is also rumoured to a jazz lounge, a lounge called 1901, and Le Salon Nouveau. It’s the only part of Disneyland where alcohol is served. Even if you have the money to join, it isn’t necessarily that easy, since the waiting list is said to be 14 years long. An Italian man named Oberto Airaudi began having visions in the mid 20th century, of a past life. The visions he saw were of a utopian society, with spectacular temples. He started building the temples he saw underground his house in the Italian Alps. 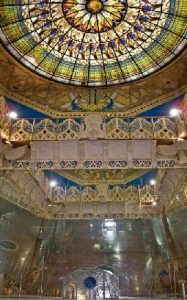 For 10 years he worked with his friends to build the extravagant temple, until what they were doing was discovered by the authorities. The temples they managed to build were so magnificent that they were called the 8th wonder of the world. Back in 1924 in Washington D.C. a large series of tunnels were inexplicably discovered under the street. An unbelievable series of tunnels, six feet high, and expertly made. It would have taken years to build it yet nobody ever noticed. It turned out to be creation of a local man called Dr. Dyar. 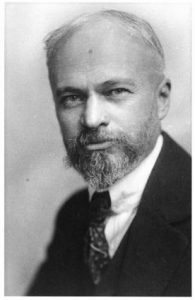 He built the tunnels for a period of 14 years from 1905 to 1914. The reason he took on such a monumental task was simply as a hobby. He claimed that digging was good exercise. He left the tunnels when he moved house, and began digging more tunnels in his new house. This new one was much more extravagant than the last, it had lighting, arched ceilings, and he had even sculted the heads of animals into some parts. But was it really just a hobby, or is their something deeper going on? In Longyou there was a river famous for being so deep that people believed it had no end. One day a local decided to put this to the test, and drained the river, which revealed a secret world hidden for years. The pond was actually just a flooded man-made cave complex. Who or when it was made is a complete and utter mystery. 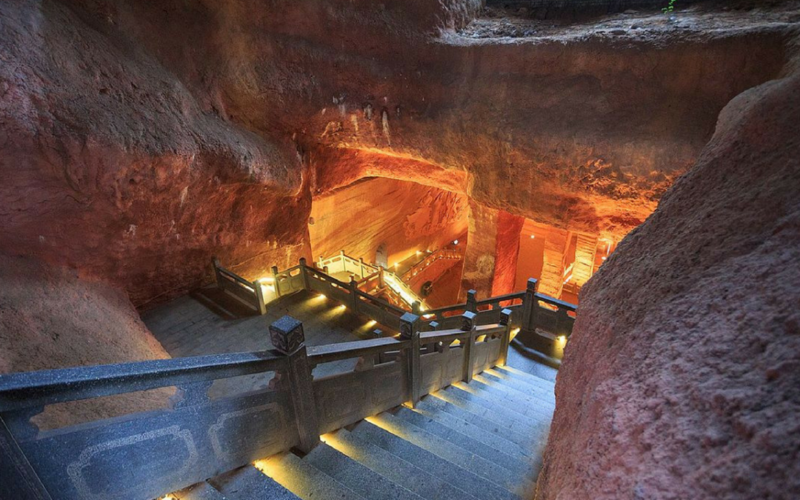 There is no historical record of the caves existence. It’s clearly thousands of years old, and was probably made before the Qin dynasty in 212 BC. The cave is surprisingly large considering when it was made. It’s 320,000 sq ft.
Hidden inside the Vatican is a mysterious library. For years very few people were allowed in, but now thousands of researchers every year are able to study it’s documents, however there are still parts of the library nobody can see. 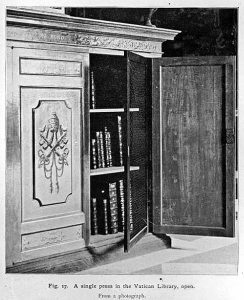 The Vatican Secret Archives are restricted so that only the Pope and no one else can access them. The archives are full of private letters sent to the Vatican from historical figures such as Abraham Lincoln, Mary Queen of Scots and Adolf Hitler. It’s possible that some of the letters hidden inside reveal dark secrets about the Catholic Church which they would prefer never be found. People have also speculated that there is evidence of demons and magic inside it’s secret archives. In 1942 engineers were asked to build a town for 75,000 people in absolute secrecy. This town was called Oak Ridge. The town looked like any other innocuous town, but was surrounded by guards armed to the teeth. Inside the town, was actually hidden facilities used to refine uranium ore as part of the Manhattan project. 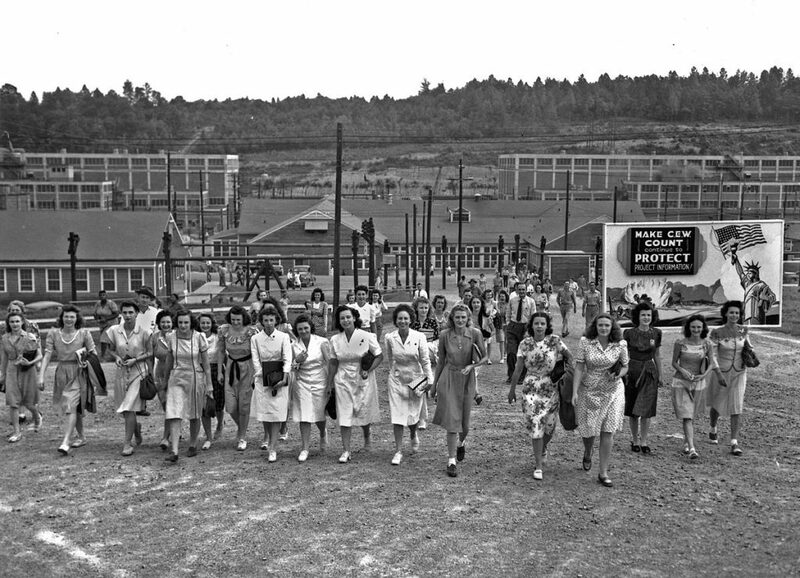 Oak Ridge has gained multiple nicknames including the Atomic City, the Secret City, and the City Behind the Fence. The Governor of Tennesse was so outraged when he discovered that the area had been designated a military district that he began tearing up the presidential proclamation in a rage. The Skirrid Mountain Inn was used to trial and hang criminals in medieval Wales. 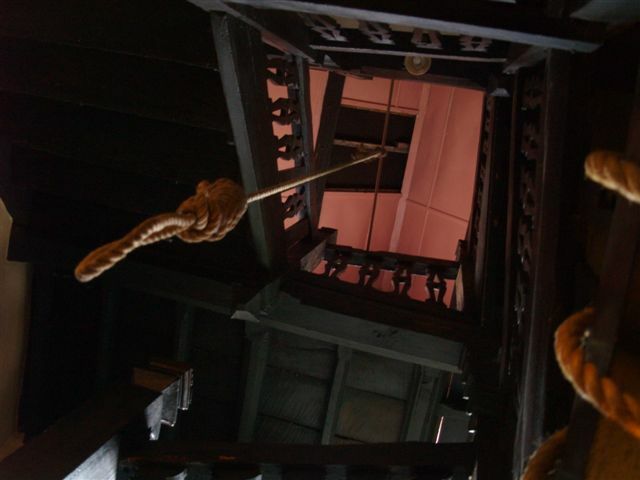 The noose they used can still be seen there, and so can the ghosts of the dead convicts. There have been several examples of paranormal activity including the sound of soldiers in the courtyard, strange rustling of women’s dresses, and some have even seen visions of ghosts. Ghosts said to haunt the Inn, include Father Henry Vaughan, Fanny Price, and the White Lady. Many customers have had harrowing experiencing, some saying they felt dizzy and nauseous, and a few said they were even strangled by an invisible entity. It’s famous for being one of the most mysterious and haunted buildings in Wales. 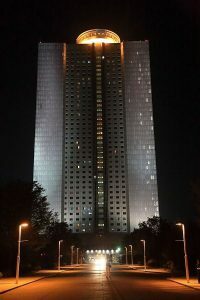 In a ruling Workers’ Party building in Pyongyang, is headquartered a group responsible for bringing in billions of dollars for the North Korean regime, known as Room 39. Room 39 is said to be integral for Kim Jong Un to cling on to power. Through illegal means like counterfeiting and selling hard drugs, they bring in billions which Kim Jong Un uses to bribe officials and fund North Korea’s nuclear weapons program. Insurance fraud is another key area of Room 39’s illegal enterprises. A diplomat who defected from North Korea revealed that the group brings in tens of millions every year in insurance fraud alone.